FHA cash-out refinancing for homes with rising property values could make cash available for a wide variety of purposes; paying down student loans, making home improvements, or even paying for vacations and related expenses. June 27, 2018 - FHA cash-out refinancing for homes with rising property values could make cash available for a wide variety of purposes; paying down student loans, making home improvements, or even paying for vacations and related expenses. 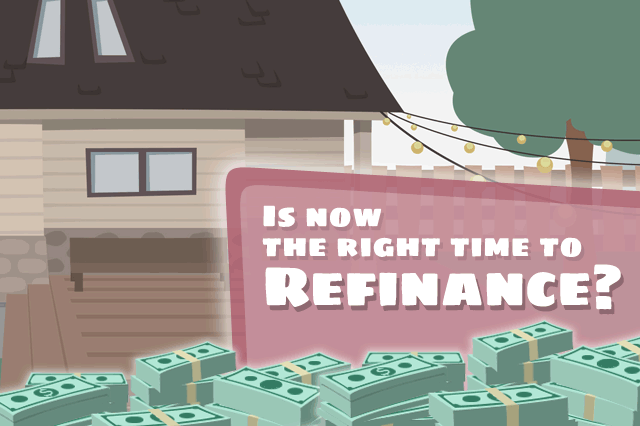 Is now the right time for you to refinance a home loan? In areas where property values are on the rise, FHA borrowers who are eligible for cash-out refinancing (who have been in their home for at least 12 months before the loan application) may be very tempted to cash on the value of their home. When you purchase your home with an FHA mortgage, your home is appraised by an FHA-approved appraiser who assigns a fair market value to the property. When property values increase, the potential for the appraised value of your home increases with it. Why could you get more money out of your home by applying for an FHA Cash-Out Refinance in times like these? The answer is simple, really. Your home’s appraised value at purchase time won’t be the same as when it is appraised anew for the refinance loan. FHA Cash-Out Refinancing loans require an appraisal in order to conduct the transaction; the current market value of the home is used for the loan, not the original appraisal amount. FHA loan rules require a new appraisal anytime there is a new FHA case number assigned for home loan transactions that require the appraisal to happen. Some FHA mortgages do not require an appraisal, at least there is no FHA requirement for them; this is true for FHA Streamline Refinancing where the original appraisal is sufficient as there is no cash back to the borrower at closing time. That’s not to say that your lender won’t require one anyway, and they are within their rights to do so. But in today’s housing market is the new appraisal actually an advantage to a borrower who wants to get cash back on the deal? That depends on your housing market and the specific market forces at work when your appraisal commences. Talk to your loan officer about whether or not cash-out refinancing makes sense for you given current market conditions and other factors that could affect your loan.